CNOOC must be hoping it has struck a deal Ottawa can’t argue with. Seven years after U.S. protectionists effectively scuppered its $18 billion bid for Unocal, the Chinese offshore oil giant has agreed to pay $15.1 billion for Nexen, a Canadian producer. The all-cash deal is at an eye-watering 61 percent premium. Perhaps just as importantly, the purchase includes an array of sweeteners that could smooth the political path. The hefty price tag – with few obvious synergies – along with a promise to establish a major base in Calgary and list its stock in Toronto may, for CNOOC, amount to an acceptable price to move up a few notches in the global big leagues. Nexen’s 207,000 barrels per day of 2011 production were more than double Hong Kong-listed CNOOC’s non-Chinese output in the same period. The acquisition would bring a big presence in Canadian oil sands and access to attractive projects in the U.S. Gulf of Mexico, the UK North Sea and Nigeria. Despite Nexen’s agreement to the deal, though, it will come to nothing if politicians can’t be brought onside. So far the two companies say they’ve only held initial conversations. Lawmakers have the power to block any deal if a foreign acquirer can’t make a strong case that Canada will be better off as a result of the sale of a Canadian company. Canada’s willingness to block big deals isn’t in doubt after the thwarting of BHP Billiton’s $39 billion bid for Potash Corp in 2010. But Nexen is only a middling producer – the eighth biggest Canadian oil company by global output, and only the 24th biggest producer of Canadian barrels, according to Macquarie. It’s also a flawed one, as shown by recent management turnover. Its strategic significance looks more on a par with wheat trader Viterra, whose $7 billion sale in March to a group led by Swiss commodity trader Glencore went through without much fuss. With existing investments worth about $2.8 billion since 2005, CNOOC is known in Canada already. All the same, it is trying to pre-empt questions with a “benefits to Canada” section in the deal press release. The 50 percent bounce in Nexen’s New York-listed shares by about midday on Monday suggests investors mostly think even protectionists in Canada will be hard-pressed to knock the latest CNOOC effort back. 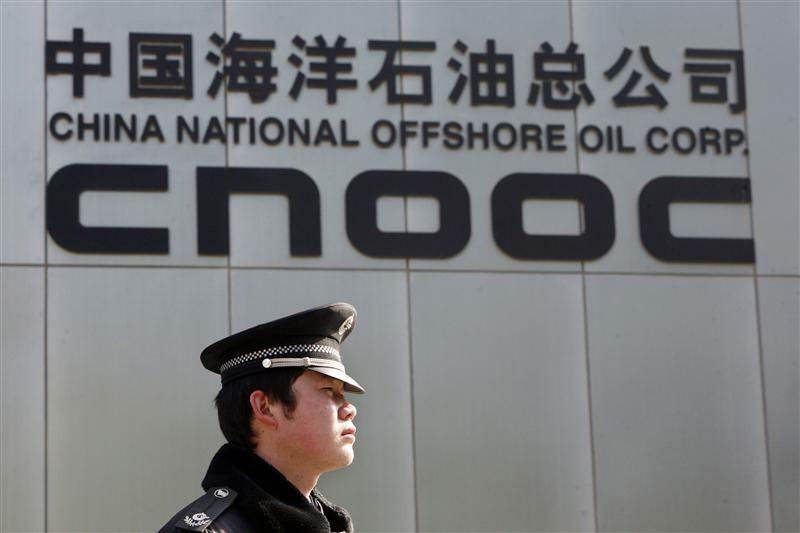 CNOOC Ltd, the Hong Kong-listed unit of state-owned China National Offshore Oil Corp, said on July 23 it had agreed to pay $15.1 billion for Nexen, a Canadian oil and gas producer with operations in Canada, the Gulf of Mexico, Nigeria and the UK North Sea. The all-cash $27.50 per share offer, which has been approved by both companies’ boards, represents a 61 percent premium to the Calgary-based Nexen’s closing New York Stock Exchange share price on July 20. CNOOC said it would seek applicable approvals from the Canadian, U.S. and Chinese governments, and from the EU if required. CNOOC said it would retain Nexen’s current management team and employees after the transaction. It also said it would establish Calgary as the headquarters for its North and South American operations, while continuing to run Nexen’s global businesses from the city. CNOOC also said it intended to list its common shares on the Toronto Stock Exchange. The company is currently listed on the New York Stock Exchange as well as in Hong Kong. CNOOC said it had invested about $2.8 billion in Canada since 2005. The Nexen offer is CNOOC’s biggest acquisition attempt since its failed $18 billion all-cash bid for Unocal, a U.S. oil company, in 2005. That bid was eventually withdrawn after it met opposition in Washington. In 2010, Canadian lawmakers blocked Anglo-Australian miner BHP Billiton’s $39 billion bid for Potash Corp of Saskatchewan, arguing that it offered no net benefit to the country.